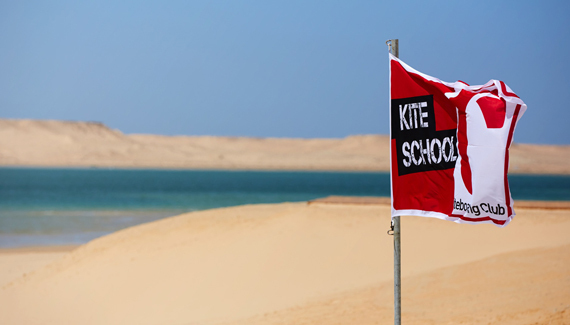 The idea behind the DAKHLA CLUB is to associate a new and modern hotel with an internationally recognised kitesurfing centre, KBC Dakhla, to offer kitesurfers and their families top quality hotel accommodation and facilities. Designed and equipped for water sports, our complex with its 53 bungalows is also open to leisure and regional tourism. We endeavour to offer everyone who stays with us a hotel for relaxation and excelling oneself. 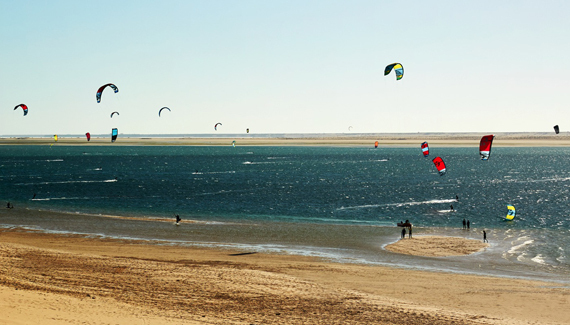 For our village-hotel, we were looking for a location as close as possible to the kitesurfing centre. 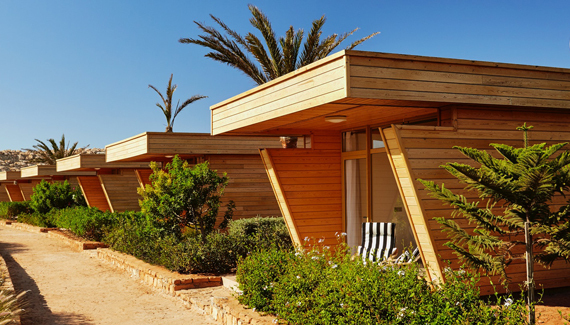 100 metres from the shore, the site was a clear choice for the DAKHLA CLUB. Our hotel was designed with great respect for its natural environment. 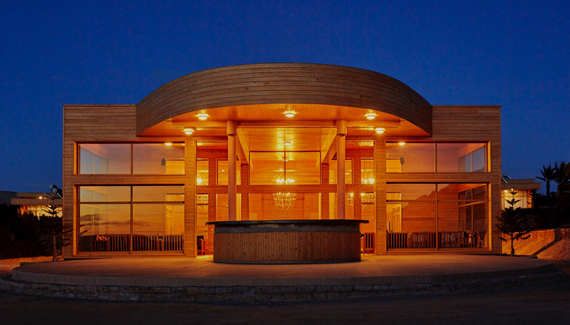 Built on the east bank of the lagoon, the entire complex is perfectly integrated into the sandy rise which provides just enough protection from the wind. On the roof of our restaurant, 300m² of solar panels provide green electricity for our bungalows, kitchens, the spa and the pool. Each bungalow is also fitted with its own solar water heater. The DAKHLA CLUB is a project by a group of entrepreneurs committed to the economic development of the south Moroccan coast. Our group is active in the tourism industry and processing products from the sea. Its fishing division is the number one employer in the region and has 1,100 employees.